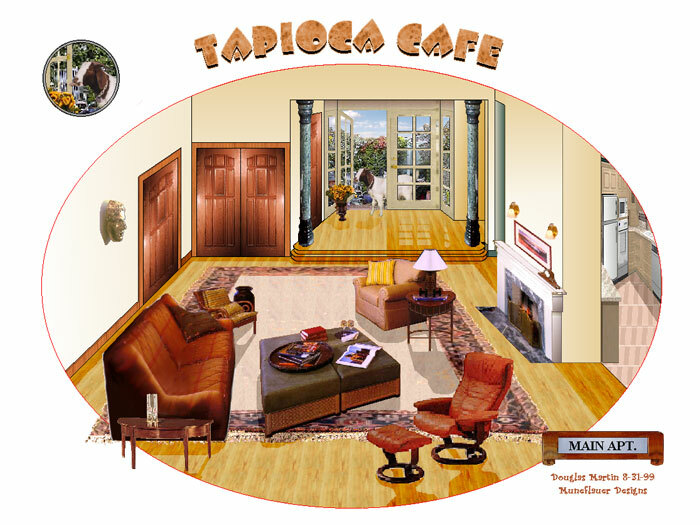 In addition to the cabaret aspect of the show, the Tapioca Cafe also offers apartment scenes. relax, and struggle with amore. This page shows a view of the Main Apartment.